We Invite You to Visit Obabikon in 2017! Obabikon Bay Camp, Morson Ontario > Team Obabikon > Team Obabikon > We Invite You to Visit Obabikon in 2017! Plan your 2017 Northwest Ontario vacation with Obabikon Bay Resort, located on Lake of the Woods. Amason’s Obabikon is a family owned and operated resort. 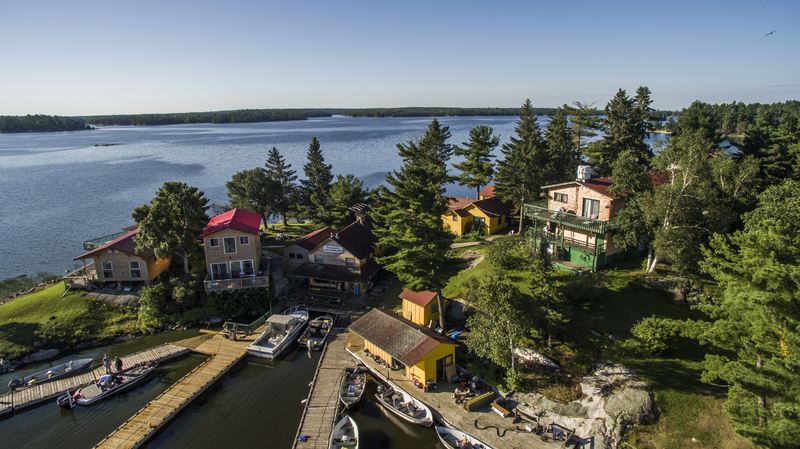 We are located on an island 10 miles from the nearest road in a wind protected part of Lake of the Woods, Ontario. The surrounding area truly has all that Lake of the Woods can offer. Sheltered from bad winds, but planted squarely in the middle of great fishing. They are undoubtedly a hidden gem in God’s Country. Lake of the Woods provides one of the most diverse fisheries in all of Northwest Ontario, and offers the best muskie fishing in the world. Some of the best fishing is within close distance to the resort, which means more fishing and less boat riding. Besides muskies, Obabikon Bay is well known for its phenomenal walleye, northern pike, crappie, and smallmouth bass fishing. Obabikon Bay Resort boasts fully furnished, modern, deluxe facilities. Our lodge is in operation from May to October. All the facilities at Obabikon are fully modernized and offer a panoramic view of Lake of the Woods. You will find the ultimate in relaxation in our clean and comfortable cabins. We are able to accommodate small groups of two all the way up to a party of forty. Obabikon Bay Lodge is an island resort with all the comforts of home offering both American Plan and housekeeping plans. Satellite TV, Wireless Internet, lounge and handicap access will suit your needs. In addition to fishing we offer bird hunting, hiking trails, canoes and allow pets. Contact us for your next adventure.